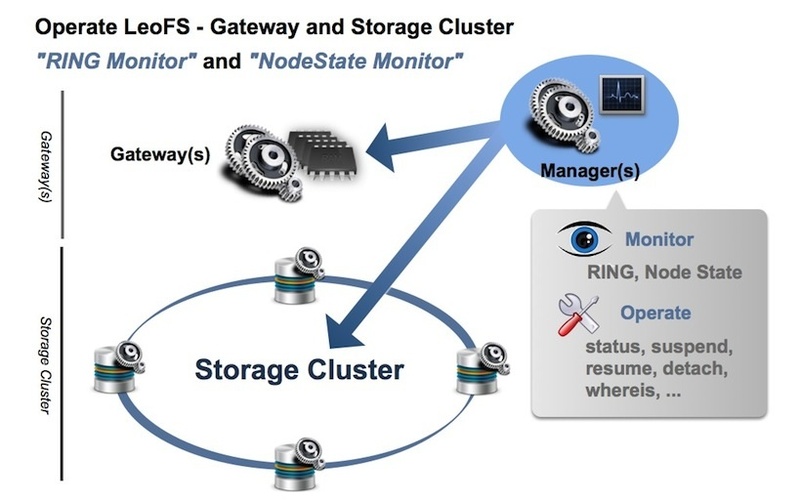 LeoManager monitors the state of LeoGateway and LeoStorage nodes to keep the high availability of a LeoFS system. A consistency of RING (distributed hash table) of LeoGateway and LeoStorage nodes are always monitored by LeoManager to prevent split-brain. Both LeoManager nodes manage configurations of a system and information of every node to be able to recover a system reliability, and the data are replicated by Erlang Mnesia to avoid data loss. LeoManager provides leofs-adm as a LeoFS administration commands to be able to operate LeoFS quickly. The administration commands already cover entire LeoFS features.